There are a number of 300 series stainless steel alloys (austenitic alloys) that are specifically formulated for forming and drawing stainless steel sinks. A common question is which stainless steel is right for my project, Type 304 or Type 301? While both alloys are stainless steel and very similar in content, there are some key differences, the percentages of chromium, nickel and carbon. Type 301 was developed to be a lower-cost alternative to Type 304. In order to achieve the desired lower cost, the alloy’s formula was specifically developed to include less of the more expensive elements nickel and chromium and higher percentages relatively of inexpensive carbon. As expected, cost /content tradeoff does have a potential effect on the performance envelope of Type 301 over the life expectancy of the sink. Nickel gives stainless steel hardness and strength. Type 304 with between 8.0 and 10.5% nickel helps it take the abuse in all types of environments. The nickel in Type 301 is between 6.0 and 8.0% giving greater chance for the product to show wear. The other element that is of importance is the carbon content of the stainless steel. Carbon is a necessary alloying element in all types of steel as it makes brittle iron malleable and ductile. Its percentage in an alloy determines a great deal about workability, hardness and performance properties. Type 304 contains just 0.08% max carbon, or almost half the 0.15% max carbon content of Type 301. While the differences in percentages may seem minuscule, their impact on the steel’s performance is significant. 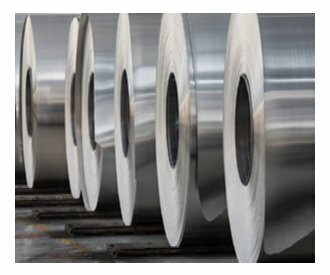 Type 301 has good drawing and forming characteristics, thanks to its higher carbon and lower nickel content, making it slightly less expensive to fabricate. This does comes with a sacrifice to corrosion resistance. Its higher carbon content can cause Type 301 to exhibit sensitization, the formation of chromium carbides at the grain boundaries during welding or laser cutting. Over time, this can result in intergranular corrosion or “weld decay” at the sensitization zone. In order to prevent this corrosion, Type 301 must undergo a secondary annealing process to dissolve the chromium carbides. The weld discoloration must also be removed by pickling and passivation to restore Type 301’s corrosion resistance at the weld or laser cut edges. Type 304 will not experience sensitization or intergranular corrosion, and therefore not require preventative secondary operations. Type 304 will also exhibit a greater resistance to pitting versus Type 301 when in contact with chloride solutions. ASTM G48 A pitting test results showed Type 301 exhibiting a mass loss of 0.0105 g/cm2 when exposed for a period of 72 hours at 22˚ C in oxidizing chloride acid, while Type 304 exhibited a mass loss of just 0.0063 g/cm2. Type 304 will withstand the corrosive actions of acids found in fruits, meats, milk, and vegetables, making it an ideal choice for sinks, tabletops, and appliances. It is immune to foodstuffs, sterilizing solutions, most of the organic chemicals and dyestuffs, and a wide variety of inorganic chemicals. Type 304 is considered the industry standard for food and beverage processing equipment. It is also the definitive specification for hospitals, healthcare clinics, laboratories, restaurants, and food service environments. Type 301, with its lower set of performance specifications, will prove a suitable choice for less demanding installations such as individual residential applications. If however, the installation will experience high traffic usage such as: public restrooms, dormitories, hotels, assisted living facilities, or schools, Type 304 with its elevated performance envelope should always be specified. If total cost is a factor, it is appropriate to consider not only material product costs, but also the lifecycle cost. Over time, the cost-saving benefits of the reduced maintenance Type 304, with its greater percentages of the more important elements, chromium and nickel, will reflect a minimal higher cost per pound vs the lower grade Type 301. The longer life expectancy of Type 304 will outweigh the nominal savings of Type 301 at initial purchase, while the cost trade-off in the long-term performance of Type 304 offers the overall stronger specification than Type 301.